Antonio Esposito has been an experienced software developer, architect, and trainer since 2002. He started programming in BASIC on MS-DOS 3 at the age of 8 and still loves programming on Microsoft products. 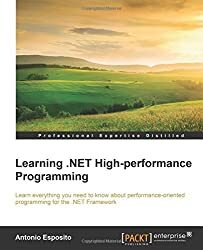 An expert in .NET, he has a lot of knowledge of SOA techniques and architectures as well as WCF and Microsoft Azure. He also has extensive knowledge of application production frameworks, such as WPF, MVC, and so on. Antonio has worked with prominent companies as a freelance consultant, speaker, and trainer. These companies include UniCredit Banca, Microsoft Italia, IBM Italia, Ferrari, Tenova Pomini, Corner Banca, and many others. As a speaker, he has had the opportunity to contribute to events such as the MCT Summit Europe, WPC Italia, Community Days Milano, Codemotion, and many more from his own user group, DotNet Lombardia.